The beauty of my Jesus is incredible. The way He allows everything to happen so perfectly in such a timely manner is astounding. This past week I was the photographer at Obsess (http://www.prayerobsessed.com/) and I must say it was plum amazing. The week didn’t go quite as we had planned. We were planning on beautiful, sunny, hot days. Instead, we got rain every day and those of us who didn’t bring anything long-sleeved ended up on the cold side every once in a while. God’s hand of protection was over us that day. Just north of us there were over 800 lightening strikes in 5 minutes. 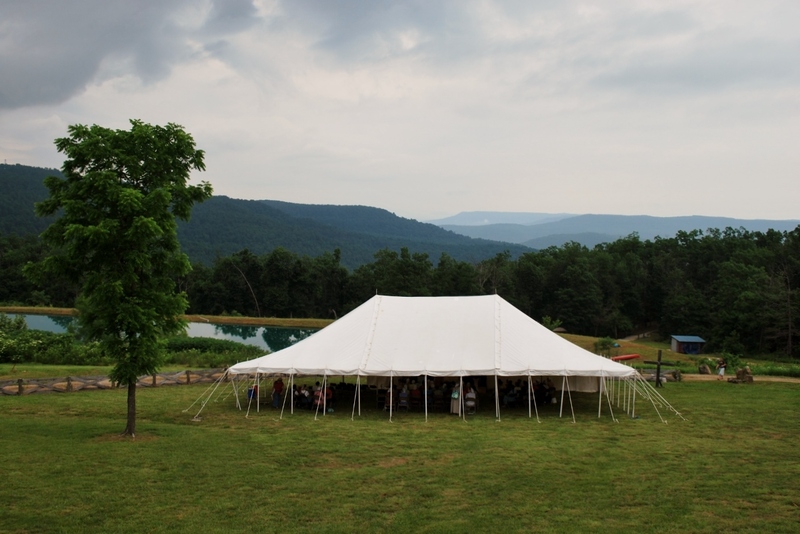 All we got was rain.This is incredible as on our session tent there are two poles that tend to work as lightening rods. One staff member said she pictured the angels all around us, shielding us from the lightening. It’s a beautiful picture. The next day we were also rained upon. Thankfully the downpour started after we were all seated in the safety of the session tent. Session came and went, and it still continued to pour. We had a beautiful time of praise and worship as we waited for the rain to end. 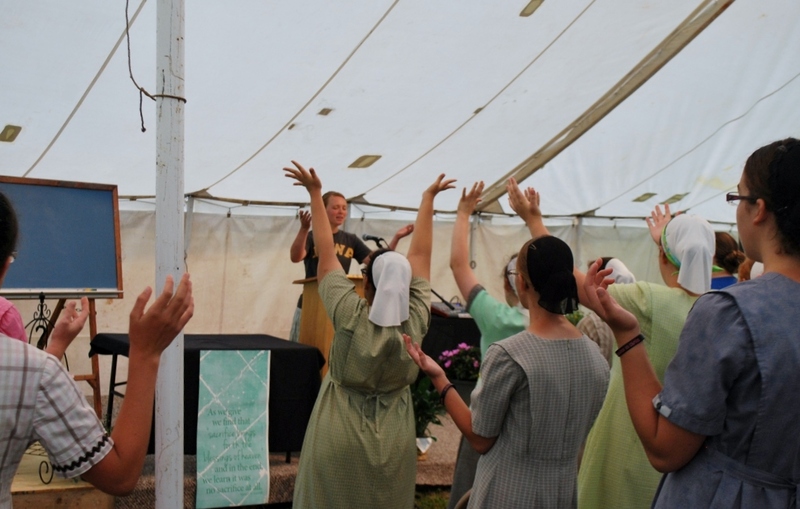 It made me so incredibly joyful to see all the campers stretching their hands toward Heaven in adoration of God Almighty. It was beautiful. This was definitely a highlight of my week. Once again, God blessed us with protection. Just five minutes down the road was a lightening strike that resulted in a grass fire. Finally, after lunch the rains ceased and the sun began to shine. Due to the rain we were a couple hours behind schedule, but everything worked out wonderfully. All but two groups finished their initiatives, yet I believe it worked out better this way. 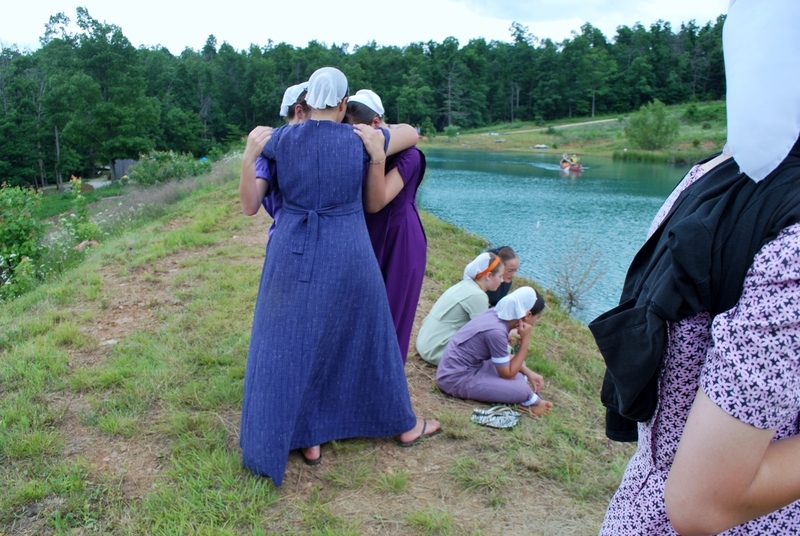 The next morning, (Saturday) all the campers gathered around the pond to cheer on the Purple team. Lining the bank of the ponder they sang “Bind Us Together Lord”. As they were singing the Purple team boarded their raft. Much to the dismay of one rafter, the raft dumped. This rafter is terrified of water. When she dumped, her fear became overwhelming. The Purple team gathered around to pray for her. Sixty campers and staff members cheered her on from the bank. Several clusters of girls dotted the bank as they prayed that God would give her courage. God answered mightily. He gave her an amazing friend who did a wonderful job of keeping her mind off the water as they crossed the pond. She has the amazing and empowering experience of conquering her fear, and I believe that God used her fear to bind us together. 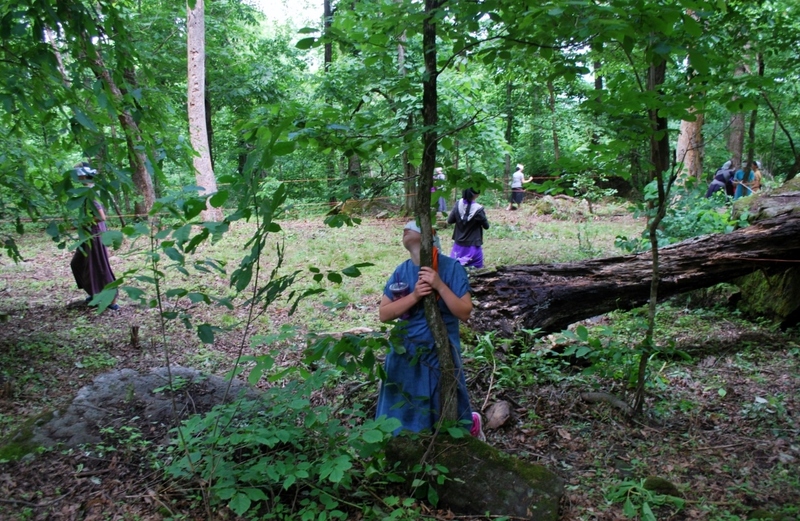 Once the Purple and the Orange teams finished what their activities, we ventured off down the hill, around the corner, past the cliffs and into the forest. There we found an incredible maze of rope woven through the trees. 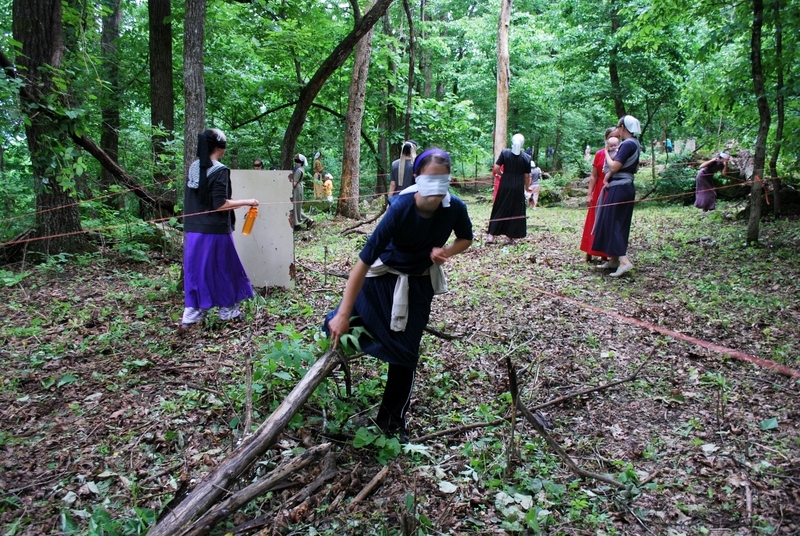 All the campers were blindfolded and told that they must follow the rope and find their way out. What they didn’t know was that the only way out was to ask for help. This initiative was quite depressing to watch. It reminded me so much of myself, stumbling through the maze of life. I wonder if the way that I felt watching these girls try to find their way was a taste of how God feels sometimes;sadly watching us trying to find our way, yet eagerly waiting to answer our cries for help. This is far from everything that happened at Obsess this year. 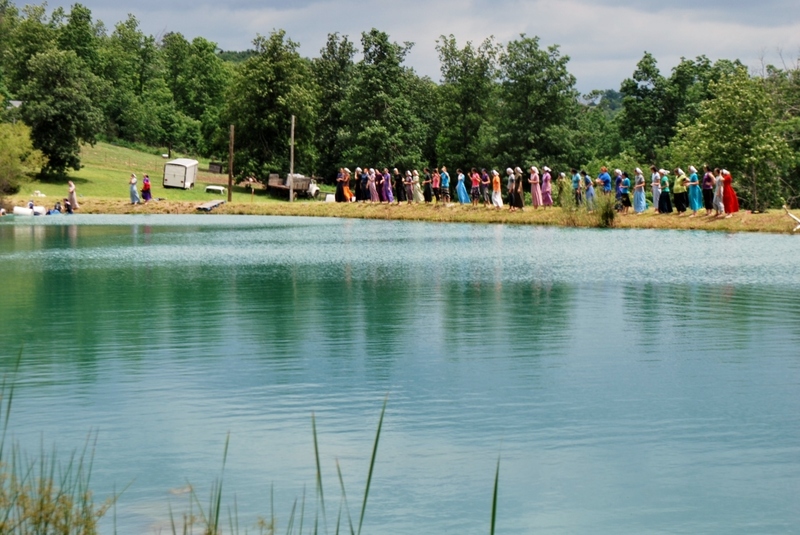 There was the nitro crossing, the challenging sessions, and the beautiful banquet. There are dear friends that I made, memories to laugh over, and an amazing God to praise. The presence of God was evident has He moved in the my heart and in the hearts of everyone there. Obsess 2014 didn’t go as planned, but it was a great success. O, and I must not forget to mention this amazing view. If this doesn’t display the awesomeness of God, than what does? Sounds like an amazing week! We got to hear all of our friends stories last night and see the pictures. Like one of my friends said, the devil may have been trying to use the rain to make the week a failure, but God just made something even more powerful out of the situation. What an AWESOME God we serve! It’s so amazing how much power we can have in Him and what beauty he can bring out of anything. Also, great job on the pictures, Marcia. Love and miss you! Yes He IS! I know, I really wish I could have been there. I’m gonna try really hard to come next year! Miss you! Plain Compassion Crisis Response, Inc.